So far, it has been such a busy summer, and a hot one here in Florida. Mostly though it has been a lot of FUN. So far we’ve spent a week at the beach, went to Georgia for my brother’s wedding and visited a few of our local amusement parks. I’ve probably taken a little too much time off from blogging. I’ll be ready for a vacation from summer vacation before it’s all said and done. In the midst of all this activity, I’ve been diligent in trying to keep us all healthy, and having plenty of good-for-you snacks on hand. One of my big wins of the summer has been getting introduced to Froozer when they asked me to write this sponsored post. 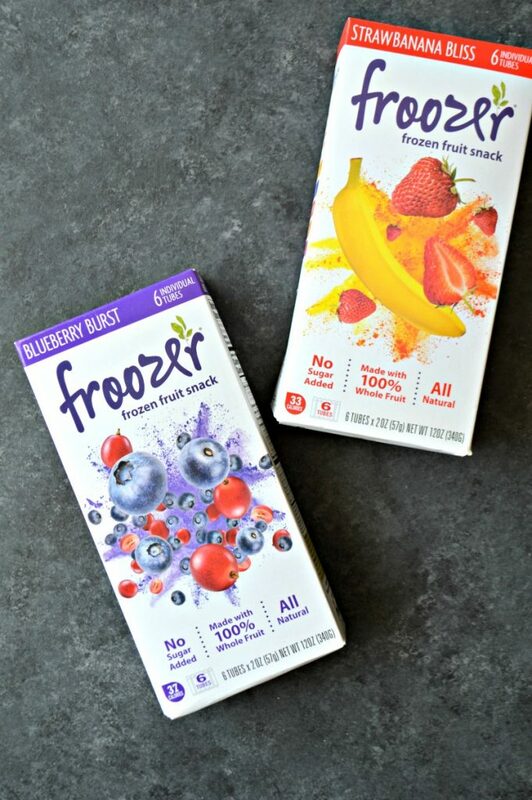 Froozer is a great tasting frozen snack made with 100% fruit – all the goodness and great taste of perfectly ripened fruits, with no added sugar, juice or concentrate. Sounds like a mom’s dream snack, right? Moms, you’ll be glad to know that Froozer is all-natural, and made with whole fruit that’s been selected at their peak of ripeness. Made with no preservatives, non-GMO ingredients, also dairy-free and gluten free – this is a frozen snack that you can feel really good about. My 8-year old absolutely loves Froozer. I almost feel sneaky though, having her think she is getting a treat when she is really eating something super healthy that also happens to taste like a treat… not really… I feel rather proud of myself for teaching her that treats can also be good for you. Froozer isn’t just for kids. With only 35-40 calories per serving, it is a perfectly satisfying snack for me to have while counting calories and striving to eat more healthy. I’ve really been focused on making healthier food choices for my entire family. It’s not always as easy as grabbing a box of Froozer which is why I am so glad to have been introduced to this product. Eating healthier doesn’t have to be complicated. Froozer is just two steps from nature. Once picked, the fruit is flash-frozen to seal in nutrients at the height of perfection, then shipped. Froozer then slow-churns their delicious melodies into tasty combinations, seals it in a tube and ships it on dry ice. During that process they don’t remove any water or fiber. Whole fruit goes in and whole fruit comes out! Foods made from whole fruit are much healthier than those made from purées and juices from concentrate. Juice really isn’t as healthy as people think. We love making frozen fruit smoothies at my house, but I don’t always have the time. Froozer is way more convenient. It’s basically soft-serve fruit and veggies in a grab-and-go tube. Froozer is available in three flavors: blue aloha, strawbanana bliss, and tropical sunset. T is hooked on the strawbanana bliss with the blue aloha coming in a close second, while tropical sunset is hands down my favorite flavor. They are all so delicious. When you’re strolling down the freezer section of your local supermarket, keep an eye out for Froozer. 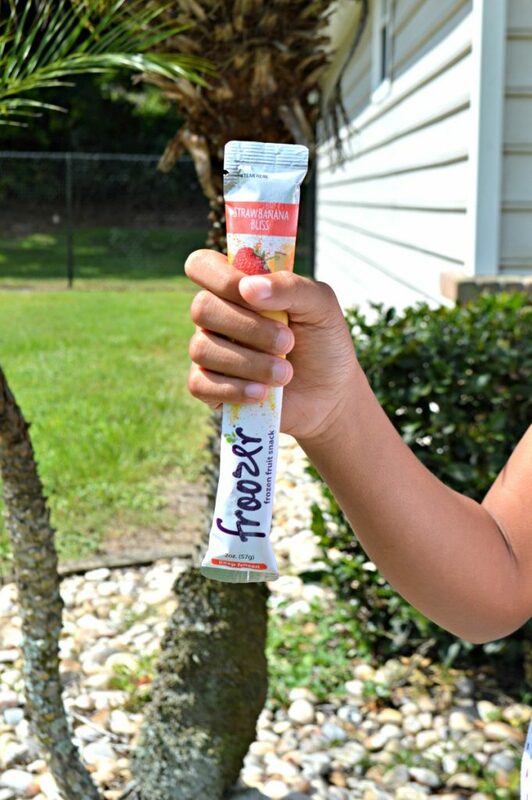 I’ve been buying Froozer from my local Publix and Walmart, but it is also available at Kroger, Albertsons, Radalls and many other chain grocery stores and independent retailers. Be sure to check out Froozer’s website map for an up-to-date list of locations. What are some of your summer wins? Discovering Froozer definitely tops my list! This is my kind of snack for my grandson & myself! You can’t beat a product that’s made from whole fruit & that Is made with no preservatives and that is also non GMO & gluten free! I’m excited to try Froozer,especially the Tropical Sunset flavor! Thank you for sharing about this great snack! What a great Summer treat. These would be great for my grandsons. I have never heard of these snacks. My kids would actually enjoy these, will have to look out for them. Oh my gosh we need to get these. Its been so hot and Liam and I both love fruit! This is definitely my kind of snack! I love frozen fruit and the three flavour options sound divine. Berries are a favourite in any form. That looks like the perfect summer snack! Wish they were available here. It’s been hot hot hot here too. I will have to get this and keep it in stock at home. My grandson would love it. Thanks for letting me know about Froozer! I haven’t heard of Froozer before. A portable smoothie in a stick sounds like a perfect treat for a summer day. Never heard of these before , they look they would be really awesome! I’ll have to keep an eye out for them! I love this as a tricky way to get some fruit into my kids bellies. I’ll be looking into buying these for sure. These are great! The amount of freebies we go through here is unbelievable. I’d much rather serve these up. Sadly, fresh fruit often goes bad in our fridge. This would be more convenient and easier to keep stocked. These frozen snacks must be so refreshing on hot summer days. I love enjoying frozen treats in the heat. These Froozers would be great to have in stock at home. Summer is all about endless snacks and I have to make sure that my kids’ snacks are healthy ones. Froozer would be one of them!